A Gurn from Nurn: "Worryingly, 60 per cent of people surveyed felt they had no influence on planning decisions affecting their local area." "Worryingly, 60 per cent of people surveyed felt they had no influence on planning decisions affecting their local area." There's no shortage of folk in Nairn willing to testify that they feel we do not have a planning system fit for purpose and that the wishes of communities come far down the list of priorities when it comes to planning decisions. This observer has been reading an article by Diarmid Hearns, the Head of Policy with The National Trust for Scotland that has been published on the Scotsman website. "Our survey covered a representative sample of more than a 1,000 Scottish citizens, allowing us to compare perceptions of the planning system by age and gender, by income, and by region. We found there was a consistent pattern of people feeling disconnected from the decisions that affected them. Worryingly, 60 per cent of people surveyed felt they had no influence on planning decisions affecting their local area." We suspect the many serious of planning matters in Nairn may well be inclined to agree with that and may wish to read the full article in the Scotsman here. I'm surprised that it's just 60%, I would have thought an ever greater number would have found themselves disempowered when it comes to planning issues. I suspect that if the ordinary person in the street had more power over planning decisions then a lot less would be passed. AND I suspect if the 380+ waiting for A HOUSE were listened to the much needed housing would be built. I for one have no objections to housing being built on any of the proposed sites that are consistently objected to for all sorts of reasons! You constantly hear NAIRN gets nothing well that sure is true when it comes to housing for people. I gladly put my name to this and not hide behind ANONYMOUS. Just get the houses built and stop trying to prevent housing for them in need. One thing that seems to be emerging Murd is that not enough one bedroom homes are being built, that it seems is the greatest need on the waiting list. Younger people have got nowhere to start off and a lot of folk live on their own now. There was some analysis of the breakdown of the waiting list by Loreine Thomson at the CC meeting last week. If time permits then we'll get round to putting an article up about that. This observer believes that if, five years ago, social housing had been started on Sandown after the Charretee and the public comments that led to the experts drawing up outlines of where the housing could go, then a big hole would have been made in that waiting list. You may be right Mr Gurn but the fact remains housing is needed and can you tell me of any that have been built that are not sold in fact some people that could vacate single houses and move up the ladder cant simply because there is no housing being built! And there is a perfectly good building on king street lying empty that would convert back to housing for people to live in with no garden to look after ample parking. It will be interesting to know WHY they are not put back to use? N.I.C.E prevented that for reasons best known to themselves but will not show there hand as to why they think should be done but not housing . In fact on this very BLOG you had a photo of one of the members cleaning the roans but that also stopped. YOU KNOW MY THOUGHTS AND THAT IS JUST GET HOUSES BUILT and the rest will sort itself out. There’s no appetite to build social housing on any great scale. Councils are strapped for cash and are unlikely to divert money to such projects. There also remains the fear that at some point in the future a new government could offer right to buy again and then we’d be back to square one. Private landlords now provide for public housing. Just look at the number of people who own two or more properties, helped for many years by the Westminster government and the likes of mortgages for rent. Property provides a much better income than any pension will. If there were funds available and the initiative then Sandown has the advantage of being Common Good land so social housing could be of benefit as there’d be no costs for the land. But as the financial crisis in the UK grows I cannot see much by the way of increases in public/social housing. The increasing cuts to services are going to see some very unpopular decision’s having to be made by councils, and any financial light in the tunnel seems to be non-existent at the moment. My appetite is for the houses that are lying empty in King street to be put back into use and they are owned by the Highland Council and could be put back into use for very little cost. As for causing the influx of people wanting to live hear try telling that to the people trying to increase the foot fall on the high street and trying to make a living! So don't try an tell me there is there is no Appetite for housing. But what would be interesting is to know how long you have stayed in Nairn and where?? Owing to the fact you post as Anonymous I cant tell. I dont think approving every development regardless is the right answer murd. How many campaigns do you get involved in to make improvements to the town? There has to be some oversight otherwise you will be campaigning for changes after the event. However obviously there is a need for housing and so there should be compromise and collaboration. And yes I am one of those incomers removing housing stock from your grandkids, if that matters. Still not prepared to add your name?? You ask what I try to improve for all and not stand by and ignore the the needs of what I think would benefit the people of NAIRN. For example BUS SHELTER at the hospital RAMP at the Firhall Bridge access for the all not just the disabled. SAFER access onto and off the railway platform by creating entrance of GEORGE Street which will again make things safer than they are now. Also letting Councilors know my thoughts on what I and others consider to be a DANGER. to pedestrians using the station brae. 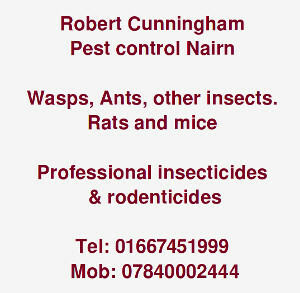 So there you go just some of things I will still try to improve for Nairn my home town and incomers alike. That is some of the things I try to improve. Now it would be nice to know what you try to improve and we can join forces to make improvements for all concerned. And of course building homes for people who need them not trying to prevent them. NAIRN NEEDS HOUSING REGARDLESS WHERE THE ARE PROVIDED JUST GET THEM BUILT!! 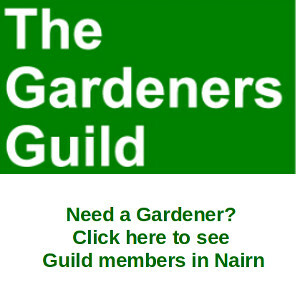 Nairn needs specific homes built to try and meet the needs of many on the housing waiting list. Does it need more 4 bedroom family houses at Lochloy that are for sale at £250k each, not so much. I would say affordable housing but that word has little meaning these days other than a token sup from developers to push some new private scheme through and then invariably they declare the affordable homes not profitable enough part way through their build and they are dropped. The whole of Nairn needs these properties built as we're (tax payers) paying the rent for anyone's in private housing who's on housing benefit and that can be £1k+ a month in some cases. It's not just young people but the elderly too who are in need of descent housing with a fair rent. Will we get the new housing? I'm not hearing anyone in authority mentioning the issue. Maybe there'll be enough money for your bus shelter Nairn but don't hold your breath. I was commending you for your campaigns murd, not having a dig (which was my first comment on this thread). I was just suggesting we should build these developments with a bit if thought. Not throw them up and then have to campaign for access or safety issues after the event. Now after that you still avoid telling the readers why you wont support the housing in king street not being brought back into use for Council tenants?? property that already belongs to the H.C. I attended a meeting some time ago when it was proposed FOR N.I.C.E to acquire the property from the H.C.at a knock down price for there own means would that not come under private DEVELOPMENT for there own means?? There has to be some oversight otherwise you will be campaigning for changes after the event. That is exactly what I am trying to prevent when asking for the King Street property to be reverted housing. Whinnieknow. So holding my breath is no problem to to some one like me. You refer yourself as a horse. Well I am as stubborn as a mule when it comes to getting things for the benefit of others. And as long as there is breath in my body I have no thought of giving up. Murd, King Street is a shite location for anyone to live. 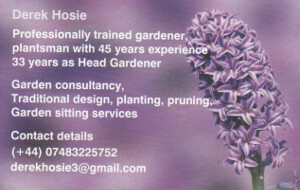 Front door onto the A96 and a car park as your garden. Why should those in need of public housing be offered such a place. OK, it's owned by the council but make it into offices or heaven forbid a tourist information centre. Nairn in general is a nice place, why should social housing not reflect that? Sure, King St is owned by the council but why should we accept very 2nd class housing for those in need? Let's set our sights higher. O well if that's your if that's the best you can offer for an excuse there is no point in trying to get you to say what you would like to put in place with out selling to a private developer.?? Hard onto the foot path of the A96 NO garden at all NO PARKING and a bus stop out side the window. And had numerous requests for them even before they were complete. So by your definition that would be a double shite site but sold very quickly. Let's set our sights higher what a brilliant idea Viewield has all the services. Do you think I should STARTS ANOTHER CAMPAIGN ??. Unless you come up with something better. Interesting discussion however what I can’t understand is why the Highland Council does not release land at Sandown to a recognised Housing Association for the provision of rented social housing and build the type of houses that are most required (I.e one bedroom). The houses being built at Lochloy are not social houses but affordable houses (whatever that means!) and are mostly 3-4 bedroom family houses.